Your view of adultery strongly depends on your understanding of the sanctity of marriage. If you believe marriage to be a relationship between two people that exists for as long as you think you’re in love, you have missed the entire point. Marriage is a covenant relationship between a man and a woman, who before God establish a vow to love, honor and cherish one another until parted by death. It is an exclusive, two-person arrangement that requires forsaking all others, cleaving only unto one another. Marriage is unique among all other human bonds because it symbolizes Christ’s relationship to His bride, the Church. Marriage partners are stewards of a sacred covenant and as stewards they are charged with guarding against intruders. Because third parties threaten the marital union, it must be guarded with fierce devotion. We stopped guarding our marriage in 2015 when my husband crossed the monogamy line. Discovering my husband’s affair was the hardest day of my life. A close second was the day I learned that he and the affair partner were still in contact some seven weeks after I believed the affair ended. I gave this man everything, including my youth and the best years of my life and he gave away the most intimate and precious part of our relationship as a husband and wife. However, as I walk this long and winding road toward healing, I have come to realize that there are five things that he did not give to the affair partner. Commitment– The most important ingredient to a long-term successful relationship is commitment- not love, not communication, not attitude. Commitment is deeper than love and says, “I am determined to make this work regardless of how I feel, no matter what it takes!” As a couple, we are committed to each other and our family. There was a brief moment in our history when my man was not as committed, but when I look at the broader picture and consider that his indiscretion lasted a mere 19 weeks out of our 20 years together– well, that is really just a blip in time. Todd has sacrificed time, money and plans for our children and me. He has worked at jobs he hated to provide for our family so I could stay home when our children were babies. He is committed to restoring broken trust and honoring our sacred vows to one another. His support- My husband supported my decision to stay home when our kids were born, he supported my decision to go back to school and become a therapist. He even supported the bad decisions I made without his knowledge, like the time I bought a car while he was on a business trip (I’d like to forget that one!). But what makes him a real keeper was the support he gave to me when I had cancer. He held my hair while I tossed cookies in the toilet, carried me when I was too weak to walk, served meals to me in bed, helped empty my catheter bag, listened to my endless complaining about the whole cancer smancer thing and wiped away all my tears. Honor- Honor seeks to protect another person’s dignity. Outside of this affair, my man has held me in high regard. I have never felt threatened by wandering eyes or flirtatious remarks because he has always demonstrated high moral standards. He has a pulse so I’m sure he noticed other attractive women, but he refrained from admiring them in my presence. For the exception of the five months he was emotionally absent in our marriage, he has treated me with great respect; he has never withheld information or kept secrets. Today, he is open and transparent about the details and causes of the affair. I feel honored by this man once again. Love – Romantic love is the first step in the “falling in love” process and is often confused with lust because of the similarities. Certainly we have romantic love in our marriage- I still get a case of the butterflies when he walks into the room, but our love has matured and we have reached a higher level of intimacy. The biblical definition of love is found in 1 Corinthians 13:4-8 “Love is patient, love is kind. It does not envy, it does not boast, it is not proud. It does not dishonor others, it is not self-seeking, it is not easily angered, it keeps no record of wrongs. Love does not delight in evil but rejoices with the truth. It always protects, always trusts, always hopes, always perseveres. 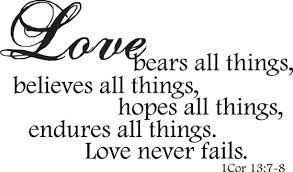 Love never fails.” 13:4-8). 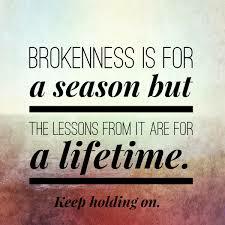 Love endures when it is allowed to go through the transformational process from romantic love (the lowest level) to agape (biblical/highest level). Most couples that do not understand this process quit when they no longer feel the rapture and intense chemistry they felt at the beginning of the relationship. Sacred vow– On October 10, 1997 I stood at an altar with the man of dreams beside me. Hand-in-hand before God, our pastor, family and friends we promised to love, honor and cherish one another- forsaking all others for as long as we both shall live. That sacred vow still stands. My husband regrets his decision to cheat every single day. Today, he works diligently to protect my heart so our relationship can experience the safety we once enjoyed effortlessly. Marriages thrive in transparency and truth. Affairs thrive in secrets, fantasy, lies and deceit and this is what the affair partner gained in the brief encounter she had with my husband. Yet this behavior does not define the man I love. He is giving, loving, affectionate, open, and forgiving. He is a man who is committed to me and our children, he is supportive of my decisions, he honors and respects me (again), he deeply loves me, he is standing by our sacred vow and his arms are still my safe haven.